OSCAR Pistorius has been rushed to hospital with injuries to his wrists reportedly caused by trying to self-harm. The former Olympian, who was sentenced to six years in July for murdering his girlfriend Reeva Steenkamp, was taken to Pretoria's Kalafong Hospital on Saturday. 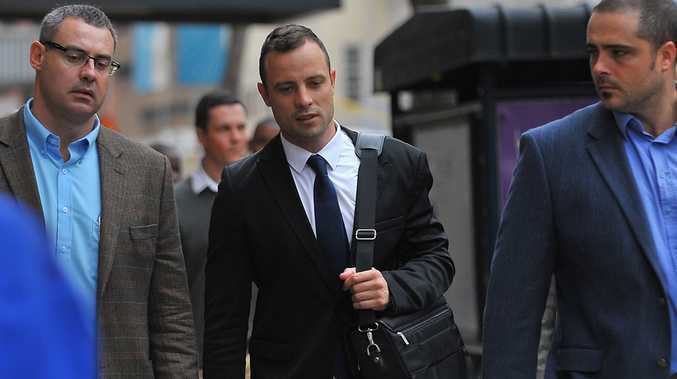 According to prison authorities, Pistorius injured himself trying to get out of bed. However, a source has told City Press that the South African had in fact injured himself intentionally. The insider said that blades were found in his cell at Kgosi Mampuru II prison. Pistorius - who won gold medals at the 2004, 2008 and 2012 Paralympics - was originally found guilty of culpable homicide. But the verdict was later upgraded to murder and he is currently serving a six-year sentence. At the time of the conviction, Judge Lorimer Leach dismissed Pistorius' claim that he was acting in self-defence when he fired multiple shots through a bathroom door which ultimately killed his girlfriend. The court found that there was no rational reason for the disgraced athlete to have feared for his life. The judge explained: "He must have foreseen that the person he was firing at behind the door might have been fatally injured." This comes after Dr Jonathan Scholtz, a witness for the defence at Pistorius' sentencing hearing, said the athlete is a "broken" man. Dr Scholtz told the court: "Since the offence he has developed a serious psychiatric condition which has become worse over the past two years." # If you need support please contact Lifeline on 13 11 14 or the Suicide Call Back Service on 1300 659 467.